Ntate Marou Lenkoe was born in Makilenyaneng, a small village in the Maphutseng Valley in 1949. He was the son of a farmer and has lived in the village all of his life. When he grew up his father was a good farmer and used to produce enough from his land for the family to live on. However, following climate changes & a reduction in rainfall his yields started to decline. These changes affected not only his family but everyone across the Maphutseng area. His father joined a credit society so that he was able to buy the inputs needed but from 1970 up to 2009 the situation became worse & worse. In 2010 Nkhono Malesala Makhube told him about Conservation Agriculture (CA) after she had been trained at Growing Nations in Maphutseng. Soon after, the local chief, Malesala Lesala, came to him telling him of a workshop about ‘Farming God’s Way’ to be held at Growing Nations. He came and was motivated by what he heard and saw & wanted to get started immediately. He went to Maphutseng because he saw there was something attractive there and received training. He commented, “The 1st year, we failed because we dug many basins which we failed to manage well. We worked as a group and thought the basins would be enough on their own to increase yields. They were not and people mocked & laughed at us”. The second year he did well, learning from his mistakes & remembering what Ntate Moletsane and Ntate Basson had taught them: “start small, grow bigger”, with all the associated management keys. The second year they were better prepared, starting digging basins in June and putting manure in the basins, before waiting for the rain to start planting. In addition, he top dressed his plants and collected soil cover wherever he could find it. He implemented the changes on his 2 other fields, including one in a very rocky area. 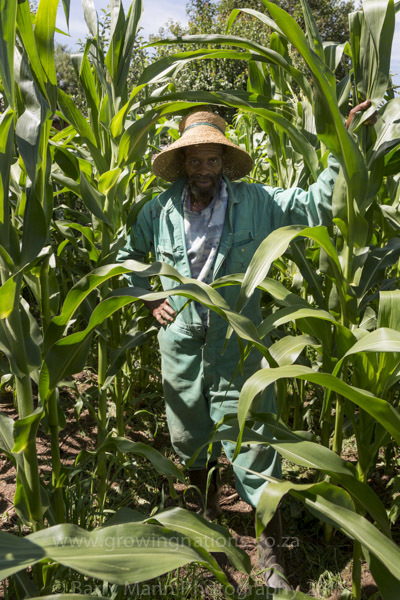 He decided to plant 8 lines of maize in each of the fields & when it was time for harvest he got a 75kg bag of maize from the field on rocky ground and two 50kg bags from the good field. 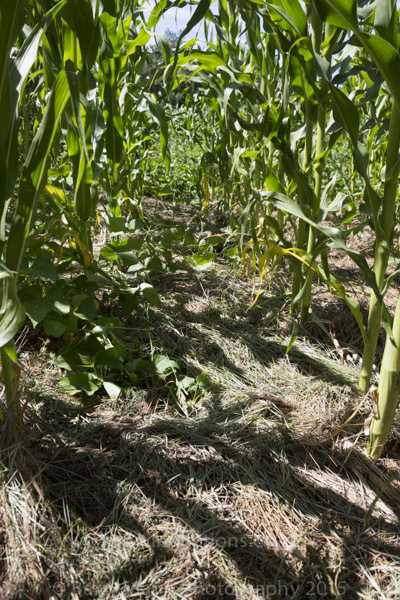 “I was very encouraged as it was my first time to harvest that much”, he said. “People were very surprised, especially when they saw the yield from the rocky field. At the beginning people laughed at us as we started working as a group of 8 farmers. After the successes many people wanted to join us but they complained about the hard work. To me CA is not hard work compared to conventional farming”. Things were not easy for him however for the following 3 years. His crops failed in 2011 and 2012 because his mother was sick & he could not manage his fields. As a result people started mocking and laughing at him again and he became very depressed. He did not however lose all hope. After his mother died he wanted to try something new, so in 2013 he followed CA principles but used fresh manure in the basins and his crops got burnt. Yields were not as high as he had expected so in 2014 he decided to stick to the methods he had learnt from the Growing Nations workshops and extension team, and he made it. 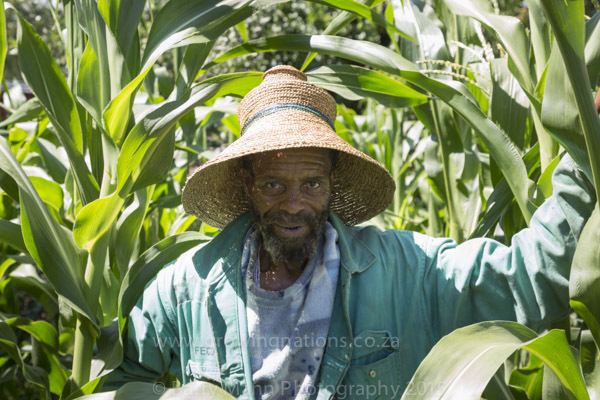 As a result his crops look fantastic, his land is well covered and he is happy in the knowledge that he will have food security for the forthcoming year. He is busy encouraging others to join him in ‘Farming God’s Way’ and is a wonderful advocate for what can be achieved and is busy encouraging those who have never done CA before by telling them to start now with small plots.